B.Tech: Completed 12th with minimum aggregate of 60%; M.Tech: Graduated from a recognized university with minimum 50% in the concerned qualifying examination. The candidates passing 10+2 from a recognized Central or State or any recognized board council are eligible to apply for this GITAM GAT 2019. The candidates should be selected in the GITAM GAT exam 2019 and based on that particular year rank list admission will be done. The candidates should have obtained a minimum aggregate of 60% marks in Physics, Chemistry, and Mathematics for seeking admission in any of the B.Tech programmes. To take admission into B.Tech Biotechnology the candidates should have passed class 12th with a minimum aggregate of 60% marks in Physics, Chemistry, Mathematics, and Biology. For B.Pharm a minimum of 50% aggregate marks in the qualifying examination with Mathematics/ Biology, Physics & Chemistry subjects. For B.Arch, a minimum of 50% aggregate marks in the qualifying examination with Mathematics, Physics & Chemistry subjects and also shall qualify in NATA / JEE (Main) Paper-2. 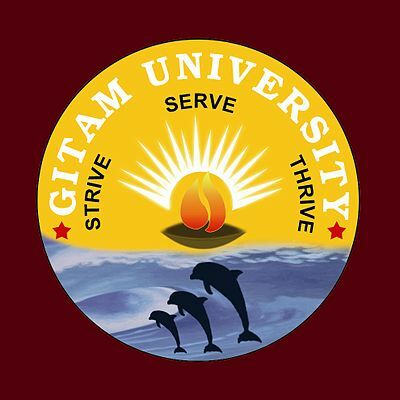 The candidates having secured the first rank in central and state board exams are eligible to get direct admission in GITAM University. Hi, I am khusi got 2048 rank in GAT Entrance exam. M I eligible to apply for colleges? You are eligible to apply for colleges. Hope for the best. For more information, click here.